Located 350km north east and an hour’s flight from the island of Tahiti, lies the largest atoll in French Polynesia and the second largest atoll in the world. 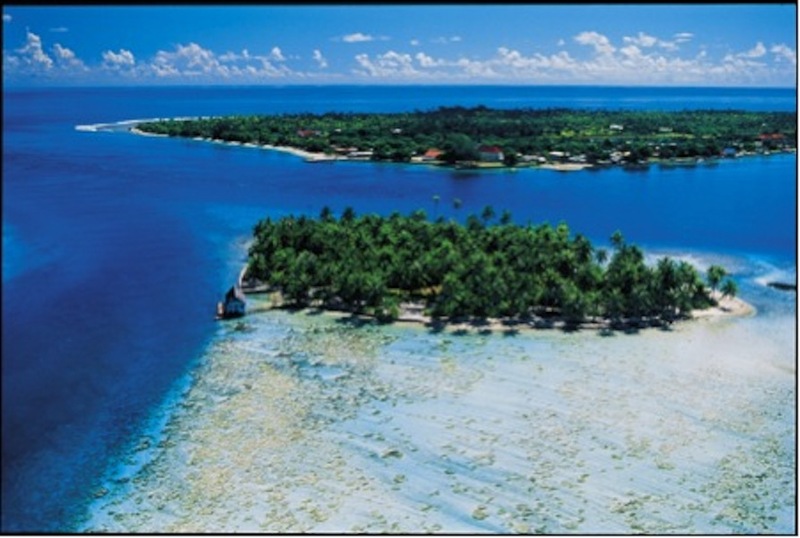 Rangiroa consists of 240 motu (islets) separated by more than 100 small canals that form its coral reef, a little less than 300 metres wide but over 200km long. Only two motu are inhabited with a total combined population of 3,000 people. A road of 12km runs along the beach, making it possible for you to visit the island by bicycle. The road may seem a bit difficult, but in a fun car or buggy you will enjoy discovering the landscape without getting tired. You’ll fall in love with the sparkling, translucent waters of the lagoon, the exceptional marine life, the dense tropical vegetation, the numerous excursions and the warm welcome by the inhabitants of the island. Rangiroa is renowned worldwide for its breathtaking dive spots. It is a natural aquarium, which Captain Cousteau referred to as one of the most beautiful dive sites on Earth. Whether you are a beginner or an experienced diver, you will be blown away by the abundance and colours of the marine wildlife. Schools of multi-coloured butterfly fish, turtles, but also dolphins and sharks….a thrilling time is guaranteed. Surrounded by two legendary bodies of water, Moana-tea (Peaceful Ocean) and Moana-uri (Wild Ocean), the main villages of Avatoru and Tiputa offer the visitor with a unique look at the South Pacific. Along the few roads, coral churches, craft centres, local restaurants, and tiny shops provide enjoyable land-based experiences to complement the many activities in the lagoon. All passionate travellers and divers (experienced or not!) who are searching for an authentic paradise will find what they are looking for on Rangiroa.